Visitors to Scotland Street School Museum can experience the history of the public school and learn about the developments and changes in Scottish education over the years through a combination of exhibits, audio-visual presentations, tactile displays and reconstructed and restored classrooms. The three classroom reconstructions reveal the transformation of the lesson room from the Victorian era through both World Wars up to the 1950s and 1960s. You can even dress up as a pupil from the past! Architect and design enthusiasts can tour and marvel at the grand scale of The Cookery Rooms, Cloakrooms and the ceramic-tiled drill hall which are all restored to their original 1906 designs, featuring colours and motifs typical of Mackintosh’s distinctive style. Children are equally amused with tactile displays where they can listen and read former pupils’ memories of the school from years gone by. Their recollections encompass topics such as the Second World War and evacuation, school dress code and discipline, playground games and activities and the changing face of the surrounding community in Glasgow’s South Side. Throughout the year, Scotland Street School plays host to a plethora of temporary exhibitions and activities programme, each having an educational theme and purpose. Both children and adults can partake in the ongoing interpretation and activity trail or find old school photographs of ancestors and family members stored in the education collection’s database. For those wanting to try something hands-on and creative, the Mackintosh Room is a must see attraction featuring a touch screen computer and tactile interactive displays as well as the ‘Back to School’ classroom re-enactment programme that gives visitors an insight into the classes of yesteryear by reliving the experience. The audio-visual room showcases an introductory video presentation that chronicles the history of the school as well as featuring footage from educational and historical archives. An online documentary film of Scotland Street School documents oral histories of former scholars and teachers, archive footage and classroom role play at the Best Laid Schemes website. 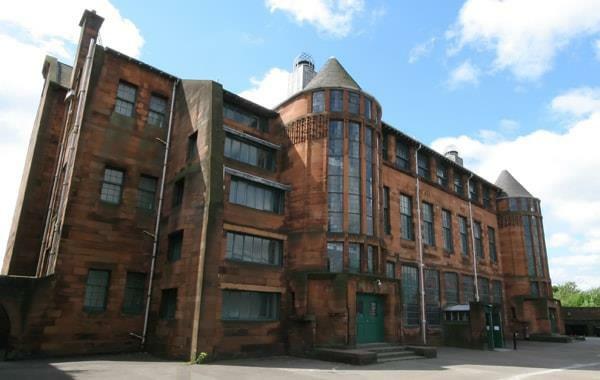 The Scotland Street School Museum is an enriching and captivating day out for families and Mackintosh enthusiasts alike, offering innovative displays and stunning interiors and exterior on a grand scale. Why not step back in time and learn what school life was like in years gone by. In September 2014, the museum was given a Silver Award from the Green Tourism Business Scheme. Scotland Street School Museum is situated in Glasgow's Southside and is short walking distance from Shields Road underground station.